The school year has a habit of sneaking up on parents. After those admission letters flow in, there’s so much to do. It’s time to start packing lunches, waking the kids up early, checking homework, and keeping connected with teachers. It’s best to be prepared with an arsenal of apps before things start getting chaotic. These android apps will keep you on top of your game from the groggy morning until it’s time to sleep. For parents with young children, it’s up to you to start developing that morning routine and making sure everyone is on time and ready to go. There are a lot of major things to take care of that your kid can’t do without. These are some apps you can’t do without so you can get the job done better. Footprints: It’s an app for parents so they’ll never have to worry where their kid is again. It shows in real time when a child gets to school and has settings to track more than one family member. There’s also the ability to set up a “Geofence” to see when their student crosses a predefined barrier, i.e. the schoolyard. Weather Live: Once logistics and food is covered, checking out the weather for the day needs to be handled. It’s not just flip-flops and t-shirts once the autumn months roll in. This weather app by Apalon Apps is a customizable weather forecast that comes equipped with scenes reflecting real-time weather and not only what the temperature is, but what it feels like outside too. In a digital learning environment there’s more resources than ever for studying and retaining new information. Supplying children with the necessary tools to supplement their education is a worthy endeavor. Khan Academy: Starting at kindergarten through high school into the college level, this app allows your child to study any kind of subject. Interactive learning and feedback helps make this a fun learning experience. Artkive: A fundamental aspect of any child learning is the eventual doodles. That means either chicken scratched renditions or potential artistic masterpieces. This app helps save art projects and any other works in a digital environment. Organization is a key skill to have. Being able to organize yourself and your student will set them up with skills for life. Luckily there’s just the right android app to do it. LaLa Lunchbox: Packing the lunchbox is a daily ritual either done the night before or morning of. This lunchbox app makes the whole process faster and healthier. With this app kids can get excited about picking their own meals and the ability to compile a customizable food library, grocery list included. Picniic: Not only do you have to manage your schedule, but also countless other family members, who may be trying to do the same thing. Enter Picniic, a family organizer app that lets family members add their schedules to a centrally located page. 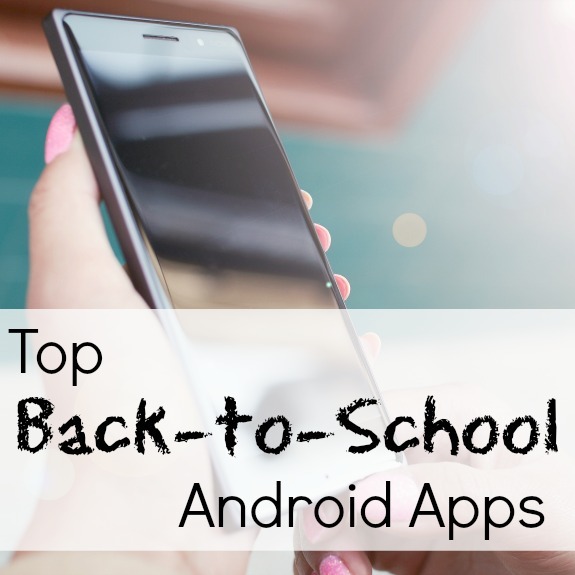 These Android apps are keys to being on top of your parental game. If you’ve got a young one or various ages, all of these apps can contribute to being better organized, more accountable and proactive in learning. Melissa has 2 pre-teen daughters and works full time making life rather hectic during the week! She relies on her organizational skills to get everything done and doesn’t mind sharing her tips with others who are rushed off their feet!